The Bessbrook bombing took place on the 17 April 1979 when four Royal Ulster Constabulary (RUC) officers were killed when the Provisional IRA exploded an estimated 1,000 pound roadside van bomb at Bessbrook, County Armagh, believed to be the largest bomb used by the IRA up to that point. The bombing occurred during a period of heightened IRA activity. 1977 and 1978 had been some of the less active and less violent years during the Troubles, the British policy of criminalization seemed to be working but the IRA was gearing up for a new out and out offensive. In 1976 295 people were killed compared with 111 in 1977 and 80 in 1978 but in 1979 the number increased to 120 with 76 being British security force members compared to just 34 in 1978. The whole IRA "battalion structure" had over gone a military reconstruction using more smaller, tight knit cells making the IRA more secretive, harder to infiltrate and made them much more effective at carrying out larger operations. The only brigade area which did not go under this reconstruction was the South Armagh Brigade which was viewed by the IRA Army Council as an independent Republic, in fact by the mid 1970s South Armagh had become so dangerous for the British security forces, who would be snipped at and have bombs thrown at them when ever they entered the area on foot they now had to be airlifted into the area and ground patrols were stopped altogether effectively giving up the ground to the South Armagh PIRA. 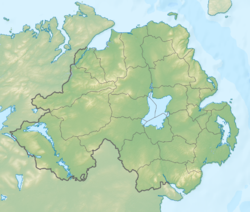 While the four Protestant members of the Royal Ulster Constabulary were on an evening patrol, they were all killed  outright when a Provisional IRA unit detonated a remote-controlled bomb hidden in a parked van, and the IRA unit detonated the well hidden bomb at the exact second the RUC mobile patrol was passing giving the officers no chance of survival. The dead RUC men were, Paul Gray (25), Robert Lockhart (44), Richard Baird (28) and Noel Webb (30). The bomb was estimated at 1,000 lb and was believed to be the largest bomb used by the IRA up to that date. In January 1981, Patrick Joseph Traynor (27) from Crossmaglen was found guilty of the four murders and a range of other charges. He was jailed for life on each of the four murder charges and was sentenced to 12 years for the related crimes. The IRA continued to intensify their campaign. On 29 August 1979 the IRA carried out two separate attacks in North and South of Ireland that shocked the world and gave huge media coverage to their campaign. The first was the killing of Lord Mountbatten and his grandson when the boat they were on off the Sligo coast was blown up by a remote controlled bomb, killing Mounbatten instantly. The second was the Warrenpoint Ambush where the IRA killed 18 British soldiers in a double bomb attack, the highest loss of life for the British Army during the Troubles. The IRA would carry out several of these type of large attacks against the British forces throughout the 1980s like the 1983 Ballygawley Land Mine Attack which killed four soldiers, the 1988 Lisburn van bombing which killed six soldiers and the Ballygawley bus bombing also carried out in 1988 which killed eight soldiers and injured 28. ^ "Deaths in each year of the Troubles, Northern Ireland, 1969-1998". Wesleyjohnston.com. Retrieved 3 February 2019. ^ "CAIN: Sutton Index of Deaths". Cain.ulster.ac.uk. Retrieved 3 February 2019. ^ a b "CAIN: Chronology of the Conflict 1979". Cain.ulster.ac.uk. Retrieved 3 February 2019. This page was last edited on 8 April 2019, at 15:48 (UTC).